Every time I see this my heart wells up inside me to see the raw reality in her face as she pours out her soul. 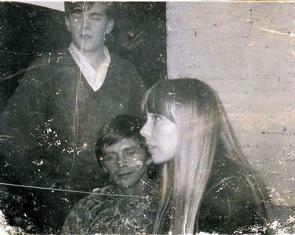 This is the time when I knew Joni... in fact at this time we had known each other for about a year or so. She looks worn from the road from trains and planes back and forth... Detroit, Toronto, New York, Philly... A great song from a great young woman. It was such a privilege to know her... I treasure it to this day.